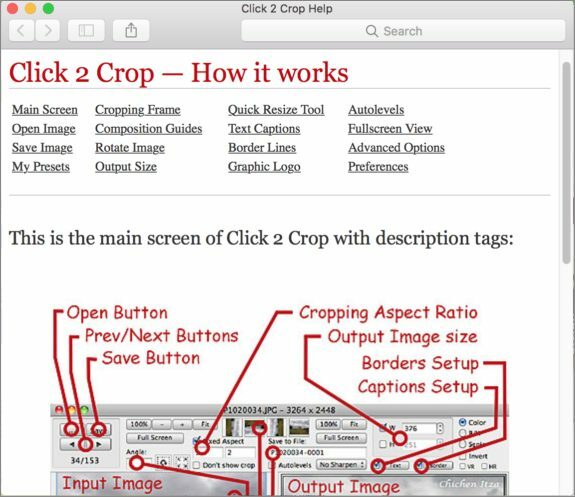 When you downloaded and installed Click 2 Crop you may activate context help by simply pressing the F1 keyboard or pushing special Help button while the Click 2 Crop is running. If you want to know more before downloading - please follow these links to see a copy of the context help system for Windows or for macOS. Help will be opened in a new browser window. If you have any questions, suggestions or advises please feel free to contact us anytime. We will be glad to help! 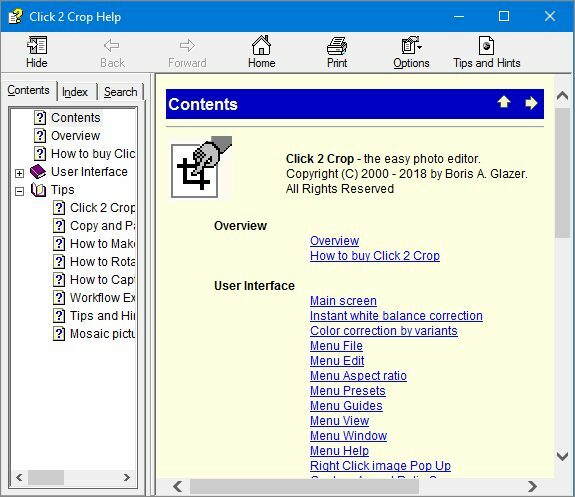 How to prepare images for tile library.